Hibiscus tea is one of my customer’s favorite herbal teas! So, I wanted to do a bit of research on hibiscus..just for the heck of it! According to Wikipedia.org, the exact origin of the plant Hibiscus rosa –sinensis is unknown. Though it has been in cultivation in China, Japan and the Pacific islands for an equally long time, it is generally thought to have originated in South China, or perhaps India. Wherever it originated, it was brought back to Europe by explorers in the 1700s. 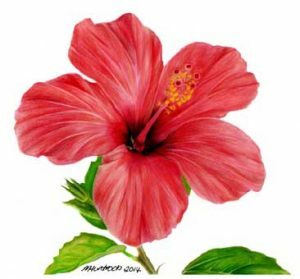 There are eight hibiscus species that are considered to be the ancestors of the modern exotic hibiscus were originally native to Mauritius, Madagascar, Fiji, Hawaii, and either China or India. The Hibiscus lilliflorus species of hibiscus is native to the Mascarene Islands off the east coast of Africa. One of these islands, Mauritius, has been an important seaport for centuries. Back in the 1700s and 1800s it was a major stopping point for ships sailing around the southern tip of Africa on their way to or from India and China. Hibiscus tea is a herbal tea made as an infusion from crimson or deep magenta-colored petals of the roselle (Hibiscus sabdariffa) flower. It is consumed both hot and cold. It has a tart, cranberry-like flavor, and sugar is often added to sweeten it. The tea contains vitamin C and minerals and is used traditionally as a mild medicine. Very popular in Egypt and Sudan. This beverage is said to have been a preferred drink of the pharaohs. In Egypt and Sudan, wedding celebrations are traditionally toasted with a glass of hibiscus tea. In Egypt, karkadé as it is called in Arabic can be found in every busy street, train station, bus depot, has its vendors & the dried flowers may be found in every market. 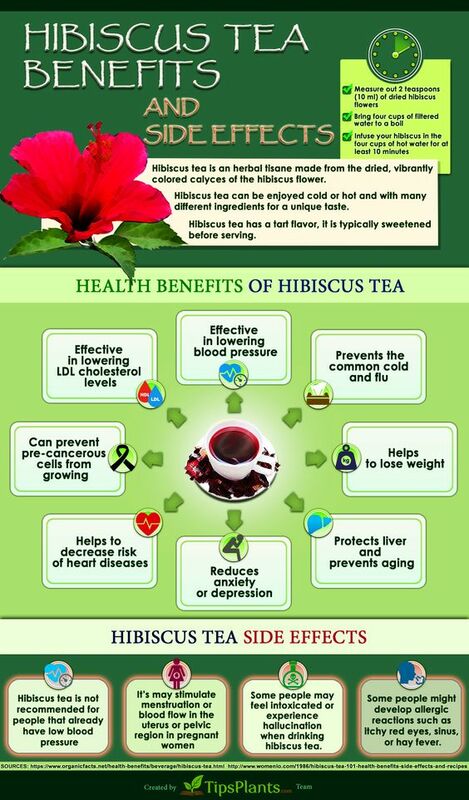 Aside from a hibiscus being a great tasting tea (hot or iced), history has shown that hibiscus has health benefits as well! 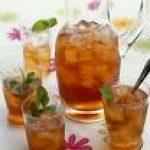 Hibiscus tea has been known to decrease high blood pressure, lower high cholesterol levels, included in weight loss programs, protects the liver, and staves off the aging process.